If you’re looking for goal setting tips, then you’ve come to the right place. In this article, we’re going to be covering how to set and execute on your goals. In this section, I want to talk about some different and more advanced methods of taking your business to the next level. This section will focus on the kind of things you can do to increase the efficiency of the work you do and how we can learn to really get a hold of our focus. It’s all about using our determination and passion to find ways to maximize our efficiency. I have lots of great tips on productivity, time management and different motivation strategies that will really revolutionize your business and work life. What we need to first do is workout three things. 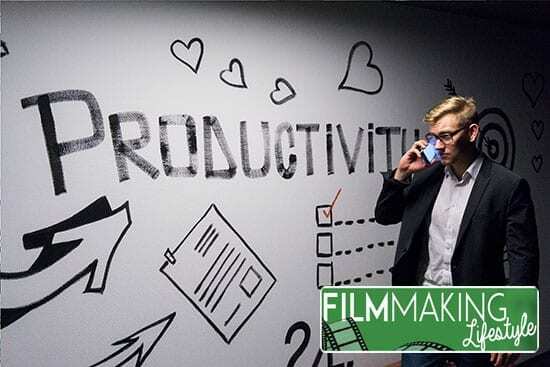 These three things will help skyrocket our productivity and what we think is possible for our video businesses. Success is, if nothing else, subjective. What is success to you? How will you know you are successful? What does your world look like? Who’s in it? What have you accomplished? That is success for you. Once you know what success is for you, you can start to set goals to achieve that success. 3. Next, you’re going to make a list of goals that you want to complete in the next year. 4. And, lastly, we’re going to look to the future and create goals that you want to achieve within the next 3 years. Think big! 5. Set goals based on what success means to you. 6. Aim big! There’s no point in setting small goals here, especially for the 1 year and 3 year ones. Even if you “fail” to achieve your goal, you’ll still have made a positive leap towards what it is that you want. Now that you have goals for yourself and your business, you need to find a way to track and measure them. It’s true – when you measure something, it helps you improve. A great case in point is fitness. When people start working with a personal trainer, or start a new workout program, they’re always made to measure everything – their body measurements, the food they eat and the exercises that they do. The people who are successful in workout programs are always the ones who diligently measure their progress. It’s inspiring and keeps you on track. In the same way, we want to measure our success in the pursuit of our goals. So what are good measurement processes? An example would be a spreadsheet of clients. You enter the names of all the clients you currently have in your business pipeline – those that you’re currently having some sort of followup with (see the previous section). From there, you can keep track of your progress with those clients and measure exactly where you’re at. I find something simple like a green-red color coded system works when I’m keeping track of my clients and the different stages I’m in with them during the marketing and selling cycle. If you want to get more advanced, you can use a great email add-on tool like Streak. Streak is essential CRM (Customer Relationship Management) made to fit your email program of choice. I use Gmail and Streak fits in beautifully with my Gmail setup. It allows you to add ‘boxes’ and ‘pipelines’ to your email account, so that you can track exactly where a client is in your sales pipeline. We discussed that in the sales section. When your sales process with a client moves into the next stage, Streak will add them to the next section of your pipeline. As well as tracking the sales process, Streak also allows you to track the open rates of your email. What this means is that you can actually tell if a person has opened your email, what time they did, where they were, what device they used (!!) and even what they had for breakfast before they opened the email! Okay, I jest with the last one. You can’t tell what a person had for breakfast before they opened your email! Here’s the thing: this makes keeping track of whether people are receiving your email (read: not going into their junk mail folder by mistake) much easier. Worried that a potential client didn’t receive your reply to an enquiry? Concerned someone might not have received your quote as it had a large attachment? Streak solves all these problems and more. Success. Goals. Measurements. When these three are understood and defined, then you can start taking action. Those three combined with action are absolute rocket-fuel for your success. One of the biggest stumbling blocks you’ll come up against is motivation. If you sit around thinking, “Why can’t I make money?” then your mind will come up with all the reasons why you can’t make money. If you ask instead, “How will I make money?” then you set your mind the task of coming up with ways in which you can succeed. One of the toughest early stumbling blocks is getting comfortable with actually charging for your video services. I went through this myself. Although I knew I was good at what I did, I still had some deep rooted issues with actually asking for money for my services. Maybe it’s to do with all the years of doing projects and favors for friends free of charge, dating back to film school. I just struggled for a while with the idea of actually charging for my services. It’s so important to get past that and recognize your own value. Once you do that, you start to recognize the value that you bring to other people’s projects and that, in fact, what you charge is very reasonable because of the value you’re giving in return. Once you see yourself as someone who’s presenting his services as a value added to someone’s business, then you will unlock a key to untold success. This is Value Based Marketing. It might take a while to get used to charging for your services. But once you do it enough, it’ll become natural and you’ll know that you’re adding massive value to people’s lives and businesses. This may sound old-school, but it’s the way forward. Adding To Do Lists to my routine has upped my productivity by a huge %. And I’m not necessarily talking about standard paper To Do Lists. I use a whiteboard To Do list. Literally a $15 whiteboard that I found on Amazon. It doesn’t need to be big – just enough to add your 5-10 points that you want to accomplish in a given day. Finish the photo editing on Photoshop for the website images. You can prioritize them in order of importance if you want, but that’s not necessary. Also, get into the habit of taking notes on your projects and the work you do. It can pay dividends with clients if you need to raise things at a later date, such as a project that has taken a difficult turn. It’s also useful to keep a journal. This doesn’t have to be a “Dear diary” situation. I write about the day at the end of most days. You keep yourself updated, refresh experiences in your mind and get clear on what you need to do tomorrow. 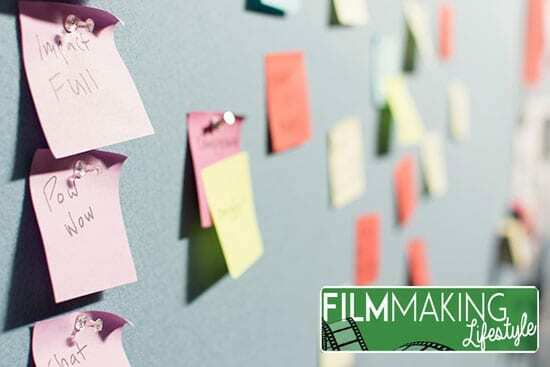 An alternative would be keeping a message thread at a filmmaking or business forum. You can update your progress and ask for advice from your fellow forum-goers. This is actually a great way to get fantastic feedback and even find mentors. A mentor is someone who has more knowledge and experience than you, and who you can communicate with regarding advice on your business path. Finding a mentor can be a massive step forward for you and your business. 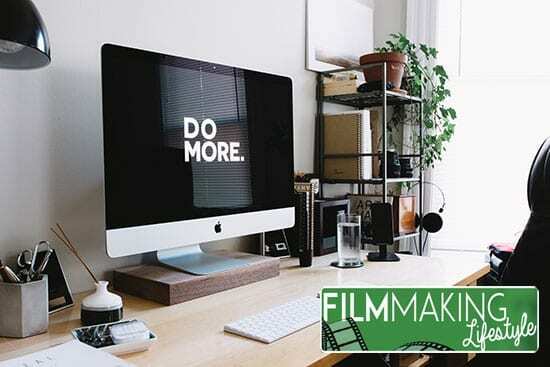 There are plenty of established film/video professionals and business-people out there who are just craving the opportunity to help someone new get on their feet. It plays into human nature and people’s need for fulfillment in the form of giving back. It’s what I’m doing with this series of guides. 1. Write a post asking for a mentor. Be up-front and honest about where you’re at with your business and your skill level. Let people know what you want and what you’re looking for. 2. Directly message potential mentors. Find the people on the forum that really resonant with you and send them a message. Again let them know what you want and what you’re looking for from a mentor relationship. 3. Start a journal thread and let mentors come to you. If you start a journal thread chronicling your progress in your business, you’ll be sure to interest potential mentors. People will read your messages and start to really get involved with your story. They’ll soon be posting messages of advice and support. From there, it’s easy to take the relationship off-forum/message board and get more personal. You can, of course, find mentors offline in real-life. I’m sure there are business people that you know or are in your network somewhere. Get connected with those people and ask if they’d be interested in a mentorship relationship. It doesn’t have to be something incredibly formal. You can just arrange to meet once every 2 weeks or 1 month. Go for a coffee and an informal chat. It could be a phone call or a Skype session. You also don’t need to try and find some grizzled, wily old veteran of business who’s in his 80s. Your mentor could even be younger than you. A mentor just needs to be someone who has more experience than you. This might sound a little more advanced, but it’s another great thing you can do for your success. Find people who are on the same path as you and get in touch with them. Like mentors, a Mastermind Group can fast-track your business success. You will get together with like-minded people and have the opportunity to be heard about your business. There will be opportunity to ask questions, to seek advice and even share resources with other people in your Mastermind. These are sometimes advertized in various communities and message boards around the internet. My recommendation is to form one yourself. You don’t necessarily have to be considered the ‘leader,’ but forming your own brand new Mastermind Group gives you the opportunity to invite who you want into the group. You’re looking for people who have the same interests and goals as you do. They don’t necessarily have to be in the video business. Just be business-people who want to succeed. You don’t necessarily have to find people who are more knowledgable or experienced than you. Just people who want to succeed and aren’t afraid to share their goals and thoughts with the group. In fact, as you get more advanced you might find you’re the most experienced people in your Mastermind Group. At this point, you might want to join another more advanced Mastermind Group, so that you can still grow and have something to strive for. The great thing is, you can now become a Mentor for other people in your original Mastermind Group, as you’re now considered a battle-hardened veteran of business! Try searching Google using a search-string like: ‘video business mastermind group.’ You can also use film/video or business related forums and search for groups on there. You could always write a new topic on your message board of choice asking to join a mastermind group. 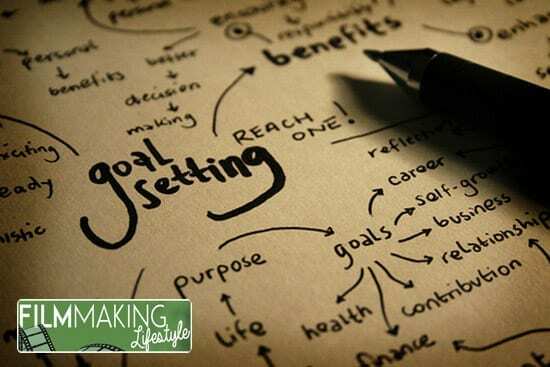 We hope this article on goal setting tips has been helpful to you. now it’s over to you. How do you set goals? Let us know by posting a comment in the comment section right below here. Thank you very much for this. People talk a lot about goals and motivation, but for most people it’s a very mysterious and esoteric thing. I think this post, however, explains things extremely well. I feel like I have a much better grasp of goals as elated to my filmmaking and what I have to do from here. You’re a good man, Matt. Keep up the exceptional work! You’re right that goals and motivation can be a very mysterious and esoteric concept. So much has been written on these concepts over the years, but it’s still pretty confusing to lots of people. This might be down to the sheer number of these theories that are out there – makes it confusing. Following a guide like this, and just following the basics, is important. You can always add in little things later once you have the basics down. Great write up! You covered a lot of different things that are all relevant to maximizing your success. I, for one, like to see the talk about setting goals, but you take it a step further and talk about “measuring” them. How do you know if you are doing well if you cannot measure what you have done, right? Great tips! Motivation is very very important fact to a man to be successful. When the goal is fixed, motivation is needed. Thanks for your article Matt. Cheers, Thomas. Glad you find it useful. Yeah, time is the key. No one get succeeded without proper use of it. I like the video very much. Thanks Matt for your excellent writeup. Thanks, Roy – time is, indeed, key. How did you use your time today? I have such a problem with time management and I know that is what is holding me back. I have goals, plans to get to those goals, but the time keeps getting in the way. Do you recommend any books, or videos that I could get some tips from? Eat That Frog by Brian Tracy is a great approach to tackling the biggest task of the day at the start of the day. Eben Pagan has some great material on time management and productivity. Check out his stuff. Tony Robbins is another person with brilliant material on time management. I’m thinking especially of his Time of Your Life program. I am just exploring how well you explain things. Very nice. I am loving all of your posts. just carry on Man. Thanks, James. Glad it was helpful for you.